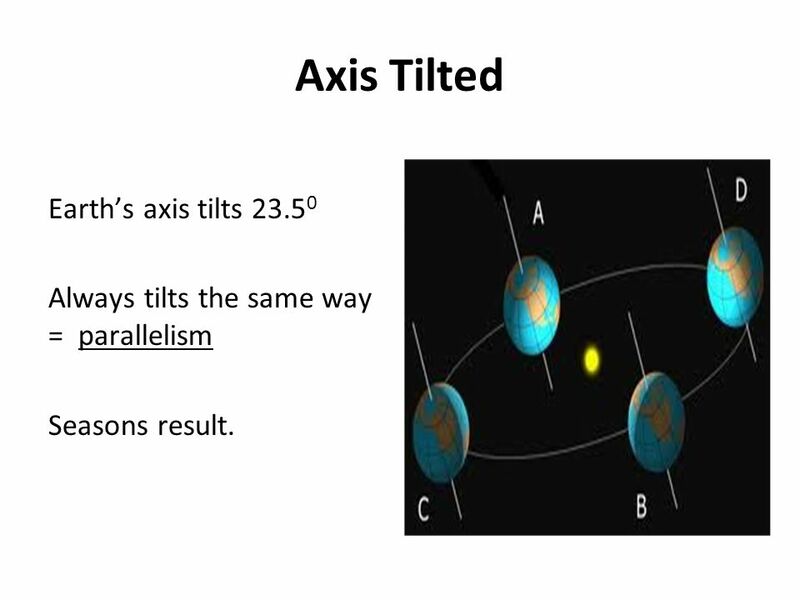 Always tilts the same way = parallelism Seasons result. 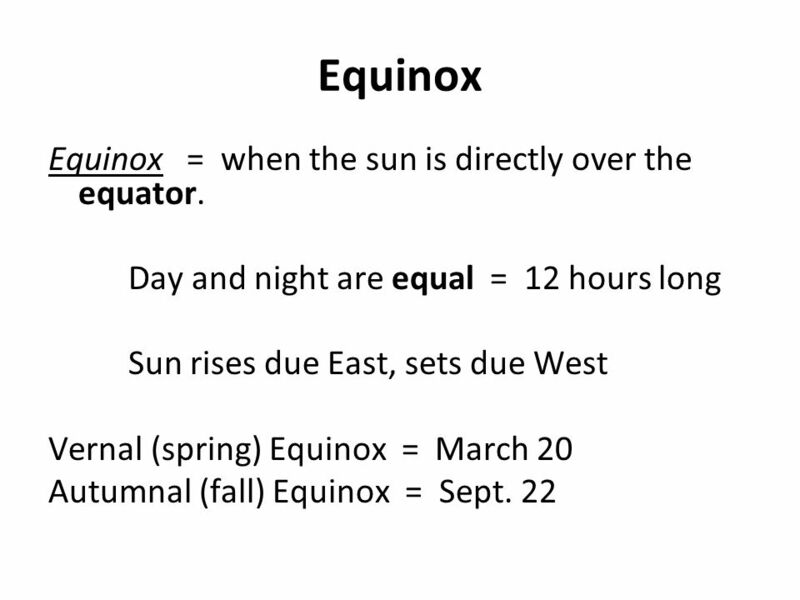 10 Equinox Equinox = when the sun is directly over the equator. 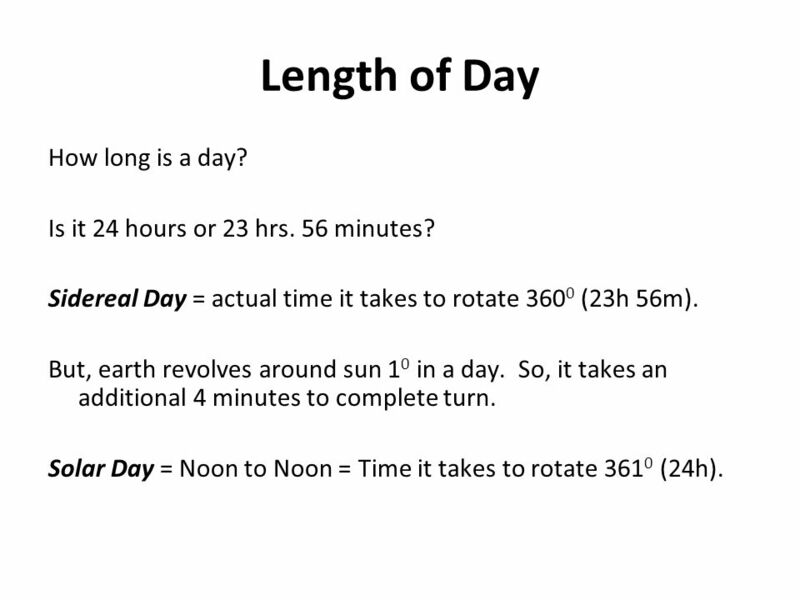 15 Length of Day How long is a day? 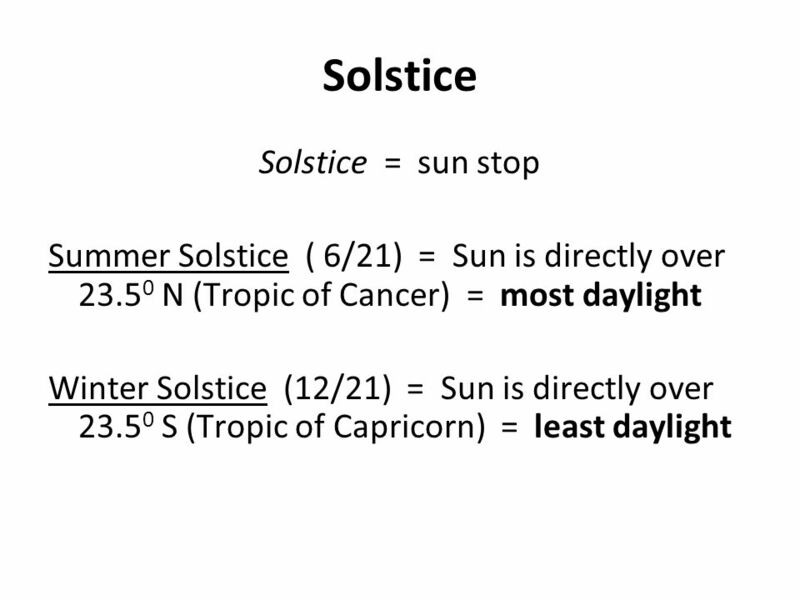 Is it 24 hours or 23 hrs. 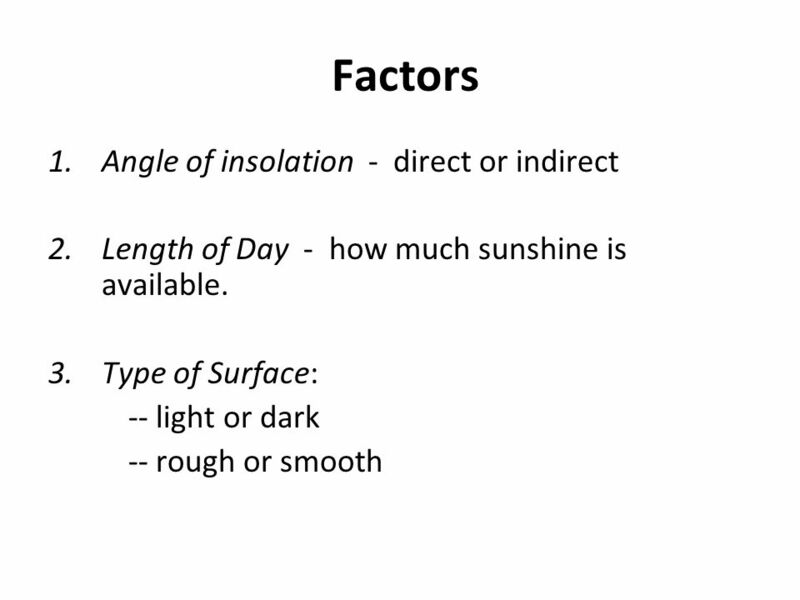 56 minutes? 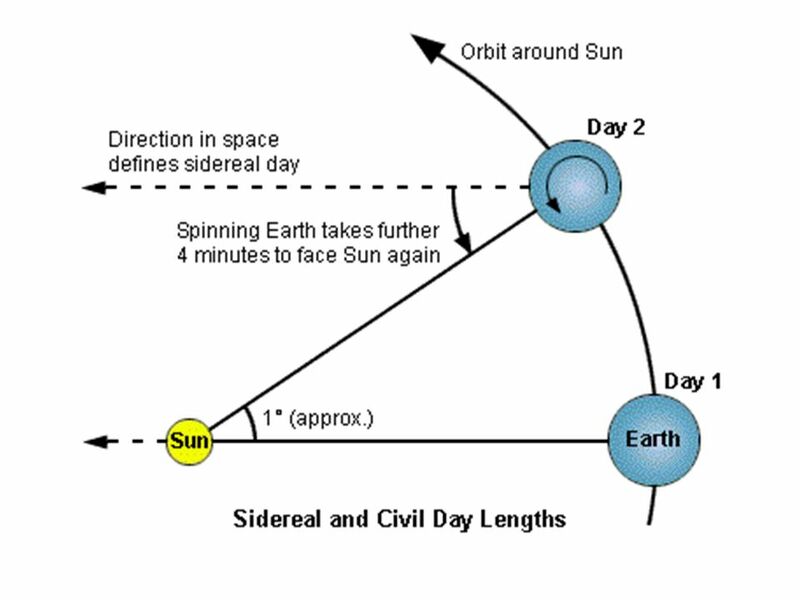 Sidereal Day = actual time it takes to rotate 3600 (23h 56m). 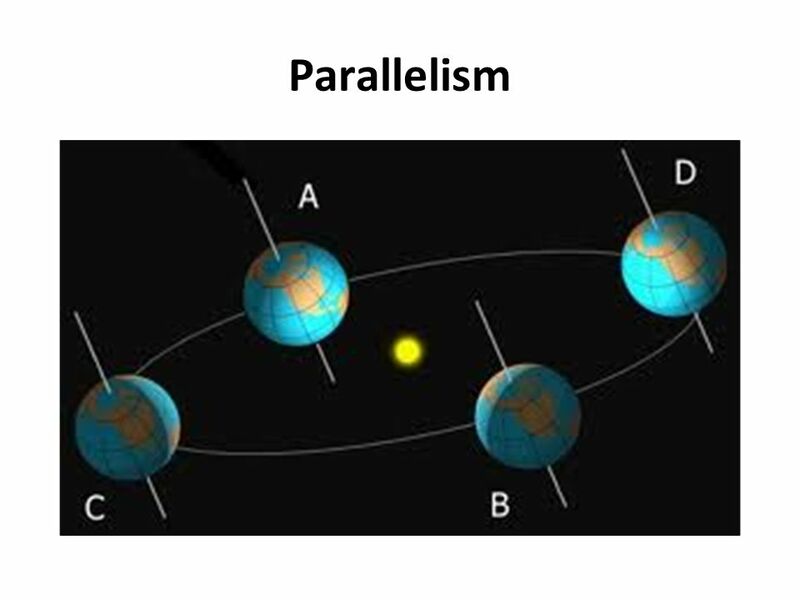 But, earth revolves around sun 10 in a day. 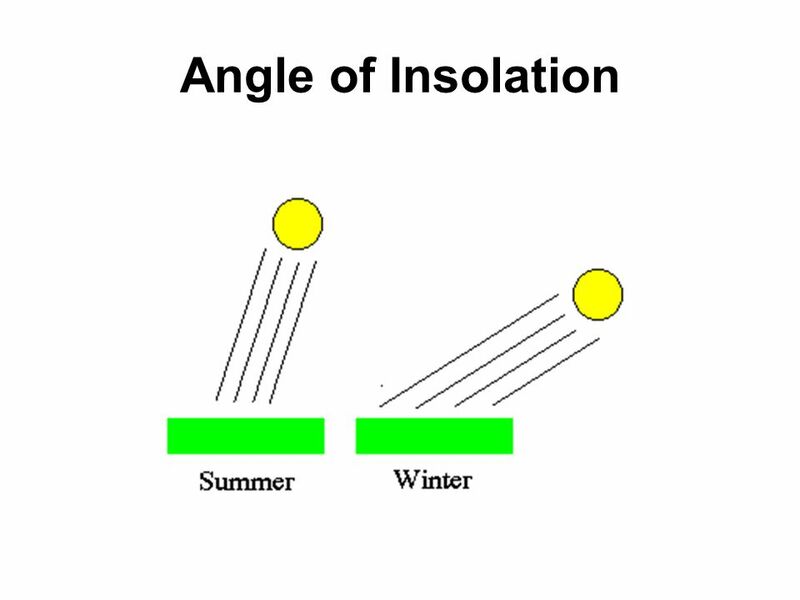 So, it takes an additional 4 minutes to complete turn. 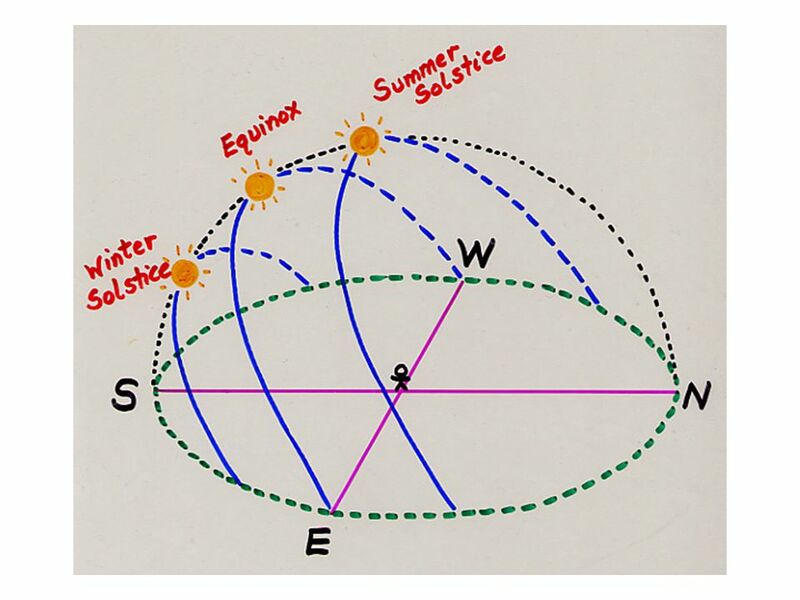 Solar Day = Noon to Noon = Time it takes to rotate 3610 (24h). 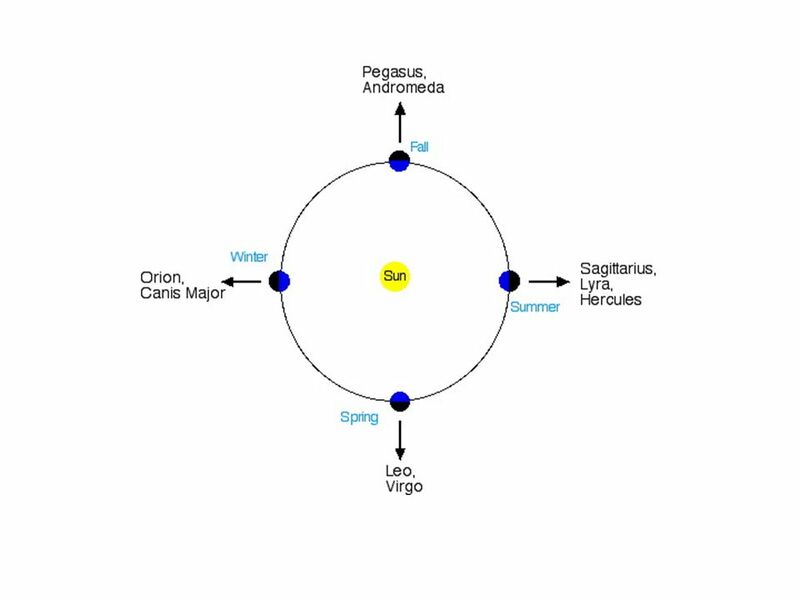 17 Revolution Earth revolves around Sun 1o / day. 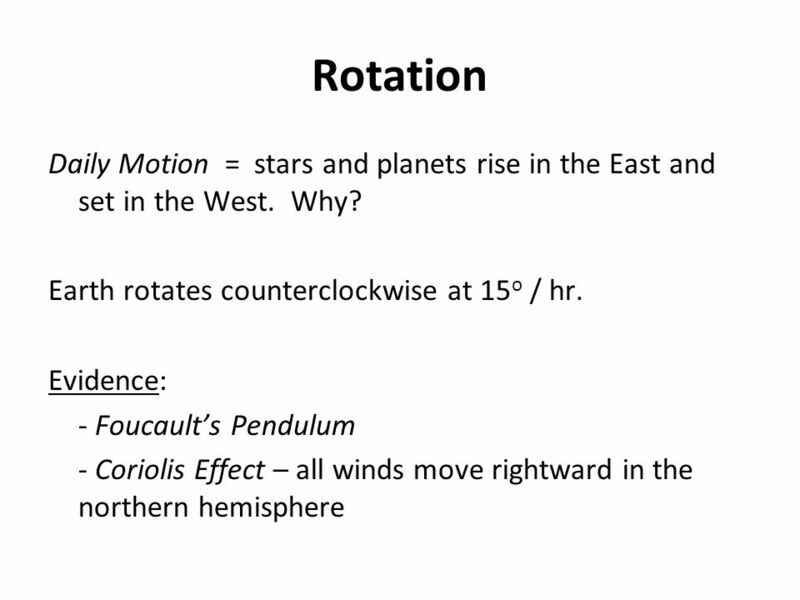 Also counterclockwise. 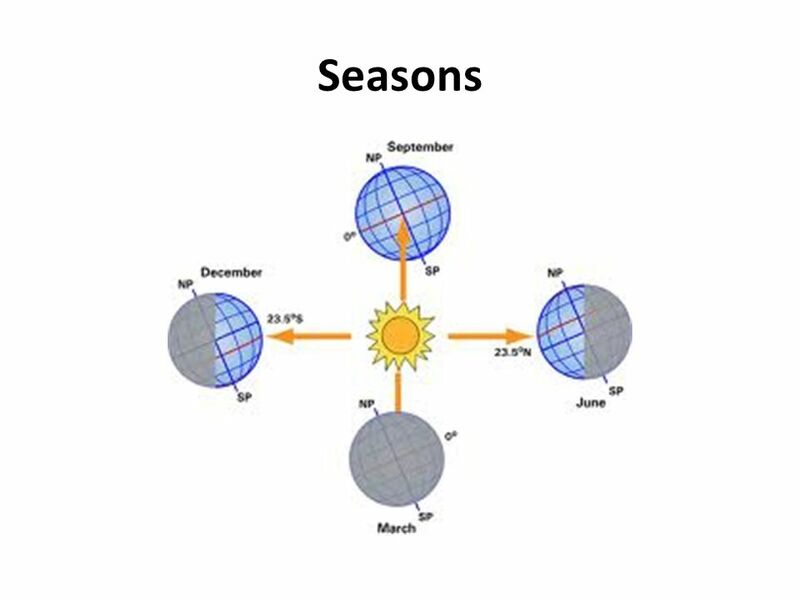 Evidence: Seasons. 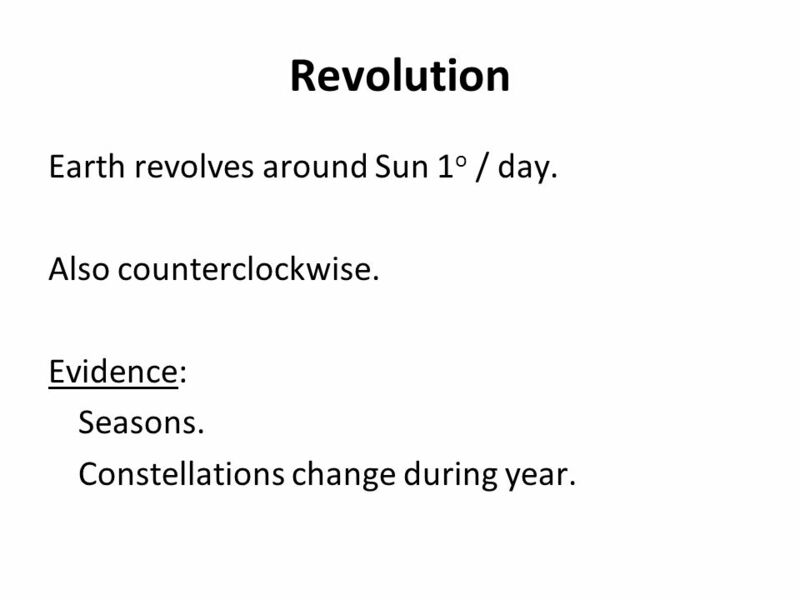 Constellations change during year. 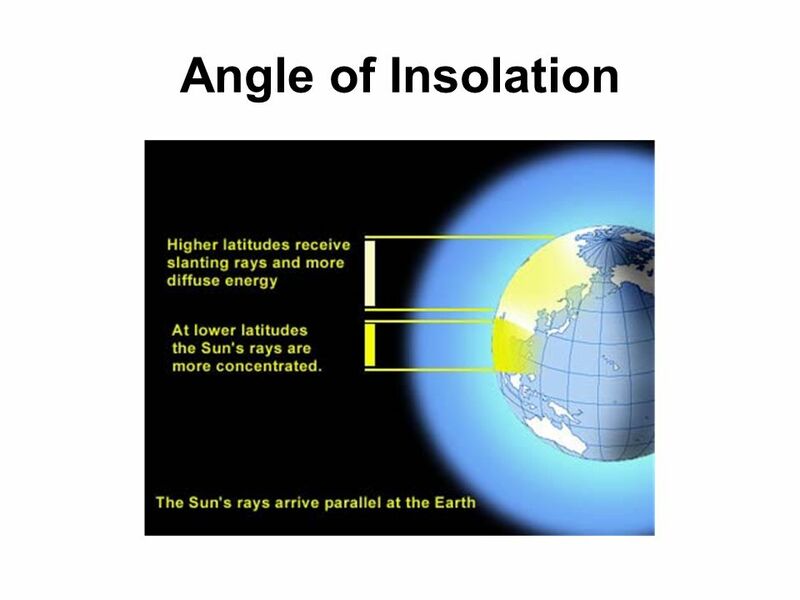 Download ppt "Insolation Insolation = Incoming Solar Radiation Energy in = Energy out or, Insolation In = Heat Out (Earth only emits heat)"
Do Now In your notebook, answer the following question in complete sentences: What causes the seasons? 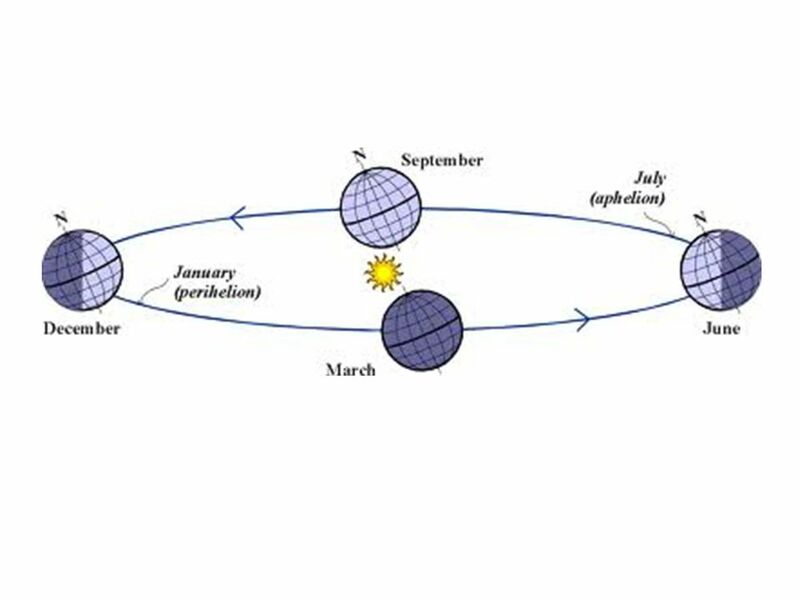 How does our journey through space cause days, years, and seasons? 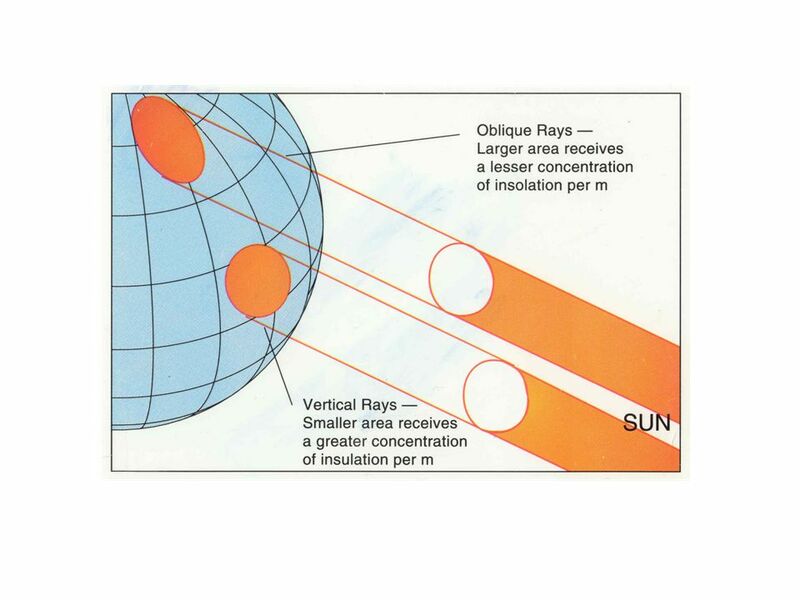 Sun’s Path. 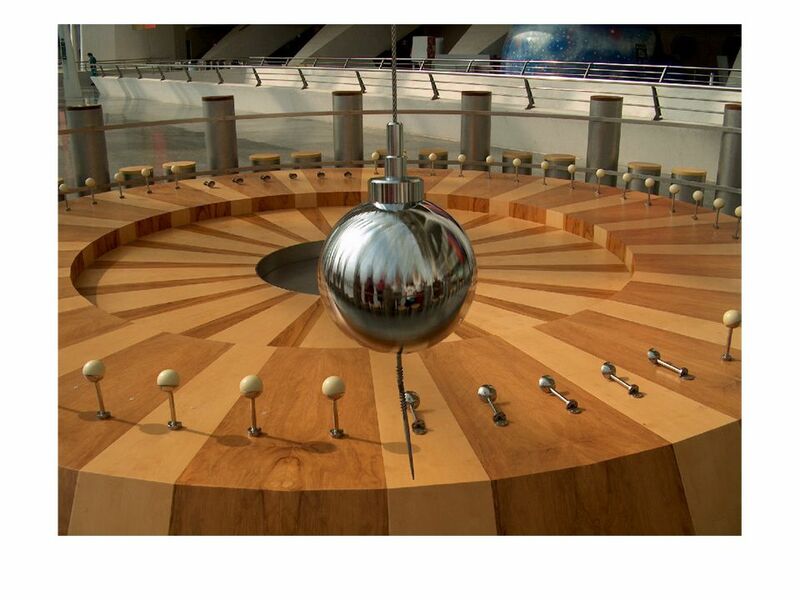 Part I. Earth’s Rotation Review A.Proof 1.Foucault Pendulum Experiment a.Pendulum continues to swing in the same plane w/o changing direction. 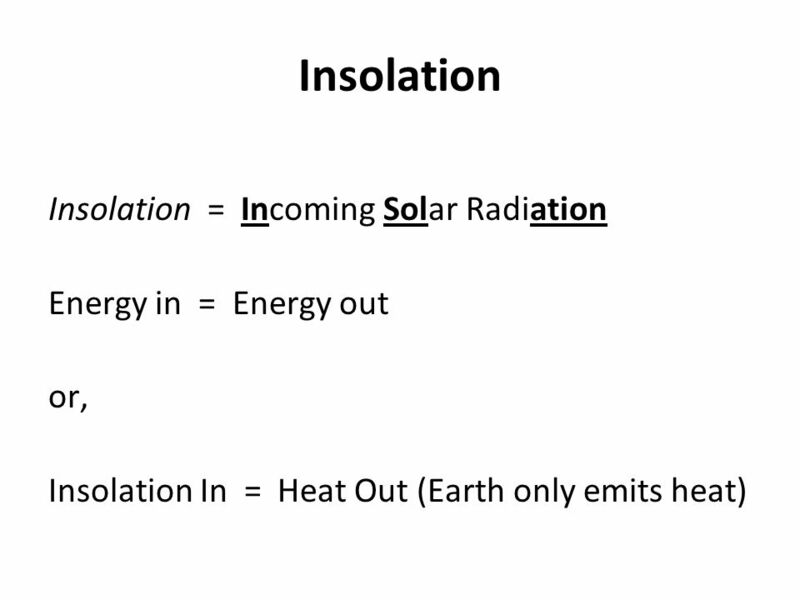 Insolation Insolation = Incoming Solar Radiation Insolation In = Heat Out.